At castings, models are asked to dress as simply as possible, since the people responsible for casting need to see what each model looks like, without being distracted by loud or trendy clothes. A basic model outfit usually means black or blue skinny jeans, a neutral tank or t-shirt, and a good pair of heels. So take a lesson from this: Sometimes the simplest outfits are the best, especially when you want your natural beauty to shine. For instance, when meeting someone for the first time, a basic outfit can be the best choice because it allows your face and what you’re saying to be the focus – in other words, your personality will not be competing for attention with loud prints or overwhelming colors. Just as designers prefer models to come to castings in the most basic clothes, they also often want to see a bare face or effortless makeup on a girl. Basic makeup allows those in charge of casting to see a model’s features, whereas bold or elaborate makeup can be distracting. Similarly, in your own day-to-day life, although there are times that call for a bright red lip or a dramatic smoky eye, a simple, clean face can be refreshing. Additionally, a natural makeup look is low-maintenance, meaning it will leave you worry-free, especially when you’re ultra busy. 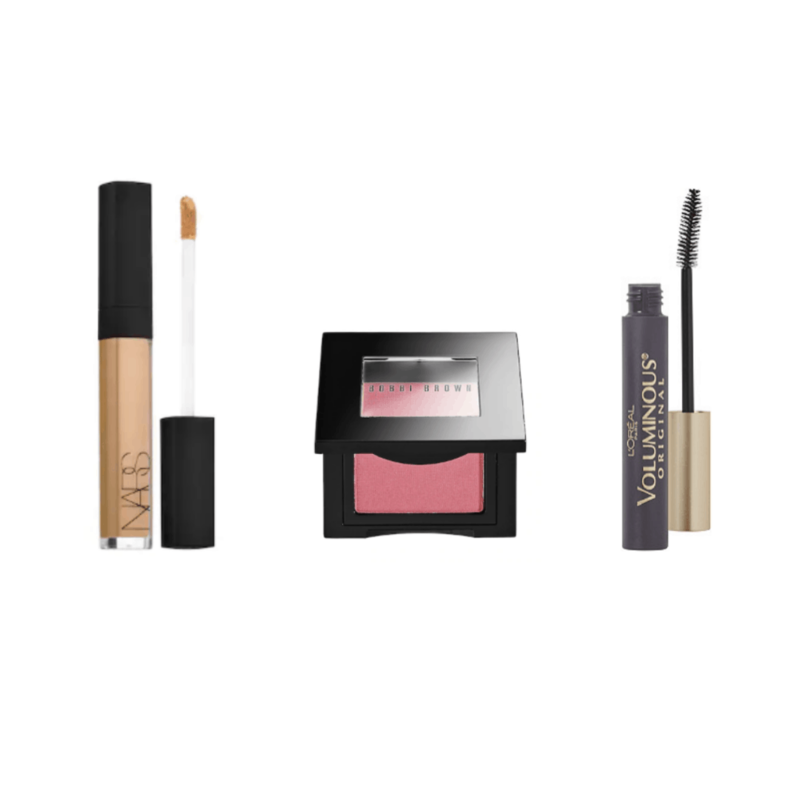 A bare makeup look generally includes some concealer, blush, and a few strokes of mascara. Lightweight foundation or tinted moisturizer will also work if you need more coverage. It’s no secret that models are heavily scrutinized; their every inch is picked apart under the most unforgiving microscope. As a result, part of their job includes paying attention to even the smallest details of their physical appearance. Us non-models can be thankful that we don’t have to live with such intense pressure, but there is a lesson to be learned here as well – sometimes it’s the smallest details make the difference in our overall appearance. For instance, a model must always get a flawless manicure before a shoot, show, or casting. This gives off a put-together vibe and a sense that the girl respects her appearance. So take a cue from this, and even if today is a strictly-sweats day (we all have them), rocking a fresh manicure, or perfectly groomed eyebrows, for example, will elevate how well others perceive your overall look. We all know that height is crucial for models, so when attending a casting, models typically follow one rule: The higher the heels, the better. Aside from adding inches of height, heels also typically make the wearer’s body appear much more elongated — it’s not surprising models are always wearing them. The lesson here? Even when worn with the most casual outfit, a good pair of heels can make your body look elongated, and also pull your outfit together. If the elongated look is what you like, definitely consider rocking heels more often.